First Couple of Rows Might Get Glittered. A review of Buffy The Vampire Slayer the Musical: Once More With Feeling at The Theatre on King in Peterborough, Ontario. Produced by Eryn Lidster, directed by Samantha Mansfield. I fell in love with the Buffy the Vampire Slayer episode “Once More With Feeling” when I was doing my undergraduate degree. We would gather in the common room and watch Buffy episodes together and the episode Once More With Feeling left us singing for weeks. I had thought that Buffy was a hallmark of an older generation, so I was extremely excited to see that the Theatre on King brought Buffy right into Peterborough, transforming my town into Sunnydale for a few magical minutes. When I had first watched “Once More With Feeling” on television, it was aired with an “adult content” warning because of a lesbian kiss, so it was wonderful to see that there was no need for a content warning in the performance at the Theatre on King and there were children in the audience. It is hopeful to see a space where queerness wasn’t censored. Although presented without the magic of television special effects, the show allowed for some of the magic to be brought close to the audience with glitter, make up, and great performances. The smaller theatre space also allowed for an intimacy with the characters and their experiences that television or even a larger theatre wouldn’t permit. The cast were able to access the power of local theatre and make Buffy’s story their own. The cast was able to capture the nuances of the original Buffy cast while bringing their own understandings of the characters and their own dynamics to their parts. This was Canadian local theatre at its best and it will leave you singing about demons, witches, and vampire slayers until you burn up with passion and excitement. A review of Tony Burgess’ Pontypool radio drama script (Playwrights Canada Press, 2015). I should start out by noting that the 2009 film Pontypool by Tony Burgess and Bruce McDonald is one of my favourite films, so I was extremely excited to hear from a colleague, Cat Ashton, that Tony Burgess had written a radio drama version of the story. Admittedly, I didn’t enjoy Tony Burgess’ novel Pontypool Changes Everything upon which both the film and the radio drama were based, but I was impressed by the radio drama and its potential for performance. I have directed and performed radio dramas in the past, and therefore took a look at the script both for its literary quality and its performability. The characters in this radio drama were rich and complex, with intentions that could be sketched out through their dialogue, but they also allowed a lot of room for actors to bring out the complexities of these characters and add their own voices and perspectives. The setting for the play allows a lot of potential for it to be performed. Since all of it takes place in a radio station, and most of it occurs in the sound booth, a lot of the complexities of space and setting changes are unnecessary. I should mention that my first day on the air occurred after watching the 2009 Pontypool and it heightened my experience of being in a sound studio, watching the various dials change, my voice oscillating on the screen, and adjusting dials to the performance of sound. I couldn’t help but think of myself as inside of the film. 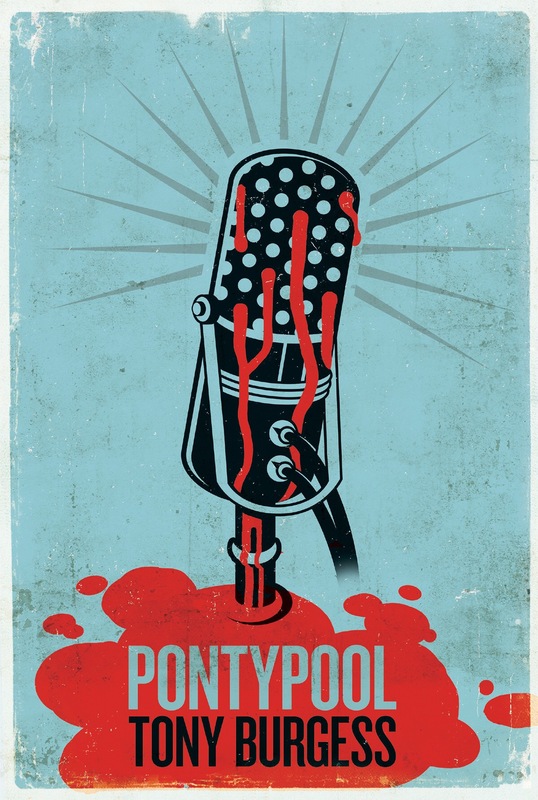 Performing Pontypool on air could increase this potential, letting the radio drama performers feel the setting of the station influence their delivery of their lines. Pontypool is a radio drama about the power of language to turn people into zombies. It is an outbreak story, situated in the small Ontario town of Pontypool where certain words in the English language have become contaminated, and where these words are spreading, transforming people into zombies who seek out voices and infect the host. It is a play that is about the power of words and the power of the radio for spreading words like viruses The play makes the reader hyper aware of the way that they are speaking and understanding language, allowing the reader to feel the potential of being infected by the words they are seeing on the page (or, if it is performed, the words they are hearing). There is a sense of danger about reading the script, a feeling that one’s mind, one’s language is potentially dangerous. It is a play that evokes the concern that even our inquisitive nature is a danger to us because the star of the play, shock jock radio host Grant Mazzy perceives it to be important to investigate and share information about the virus even after he realizes that speaking in any way would allow the virus to spread. He has to balance his need to deliver news… with the fact that the delivery system (him) is contaminated. This is an infectious play, one that needles its way into your brain and invites you to keep contemplating it, keep questioning it, even as you realize that the content of the play is telling you that investigating and contemplating can be infectious. To dicover more about the Pontypool radio drama, visit http://www.playwrightscanada.com/pontypool.html . In this episode of Speculating Canada on Trent Radio, Kate Story joins us back in the studio to talk about the other part of her multifaceted spec fic persona – her role as a performer. Kate talks about the experience of being both a writer of novels and a theatrical performer and how the two can connect and interweave with one another. In this show, we are able to get a behind the scenes view of a few of Kate’s performances and hear about how she has been able to adapt her own speculative fiction for the stage. 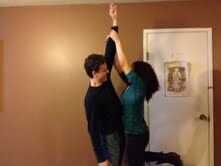 Kate demonstrates her love of Shakespeare in her theatrical piece “Romeo and Juliet: Superstar Ice Miners of Europa! !” a science fictional take on Romeo and Juliet by Shakespeare. Kate talks about Shakespeare and how apt Shakespeare’s works are for speculative re-imaginings, her ability as a writer to adapt the gender expectations about Shakespeare, and about how a good text is flexible and can be creatively adapted. As someone who has done stage acting, Welwyn Wilton Katz’ Come Like Shadows spoke to my experience of the stage, and added a little bit of magic in addition to the already potent magic of the theatre itself. Set at the Stratford Festival during a production of Macbeth, Come Like Shadows evokes the play between the ‘real’ and the ‘artificial’, bringing home the point to the reader that ‘truth’, ‘history’, and ‘knowledge’ are all as constructed as the stage – just sets and trappings of performance. In theatre, naming the Scottish Play, or the Thane is taboo. Macbeth is seen as a cursed play, and speaking the name “Macbeth” in a theatre outside of the production itself is believed to bring disaster on any production. When the Stratford Festival decides to stage ‘the Scottish Play’, disaster happens – a series of unfortunate events involving the death of actors, stage fires, and general tragedies both on and offstage. Actors and performance are brought into a historical assemblage, players in a curse that was created when the historical figure of Macbeth decided to interrupt a pagan ceremony by three ‘witches’ who sought to regain their youth by entering into a mirror. When Macbeth intentionally changes their spell for youth, replacing the spell’s words “Two into one. Find through this glass a future for thy past that the name of the Goddess be remembered” into “Two into one. Find through this glass a past for thy future that the name of Macbeth be remembered” and both he and the eldest of the witches, the Hag, are pulled into the mirror and projected into the future, stuck in the glass. The Hag, now a manifestation of rage spends centuries torturing Macbeth in the mirror, locking the two into an eternal combat. When she discovers that a bard by the name of William Shakespeare is trying to honour the memory of the Thane with a play, she changes his words, making Macbeth into a villain so that rather than fame, Macbeth’s name becomes associated with infamy. She inscribes words of magic into the play to attract her sisters, the Maiden and Mother, with the hope that the other two witches might be able to free her from the mirror. From that moment onward, the play becomes a nexus of strange, magical events. Kincardine (Kinny) O’Neill, named after a small Scottish town that her father once visited, wants to become an actress. When she finds out that she has an internship with the Stratford Festival, she jumps at the opportunity, particularly since her mother’s friend Jeneva is directing Macbeth this year… only to become horrified when Jeneva decides to use the text of Macbeth to launch her own attack on French Canadians (whose rights Kinny had been defending). Canadian identity, Kinny’s own coming of age, and the path of history intersect in the performance, evoking the power of performance for speaking about issues of identity nationally, personally, and historically. Kinny meets Lucas, born French Canadian but having adopted a completely American identity for himself out of embarrassment at his French heritage and due to teasing from American children who see him as a humourous Other. When shopping for props for the performance, Kinny and Lucas find a mirror at a local antique store that draws both of their attention. The mirror shows the two of them the past and Macbeth’s encounter with the witches. It offers Kinny power and magic, and offers Lucas a glimpse of the historical figure of Macbeth that he wishes to one day play. Both become obsessed with the mirror – Kinny out of fear of what it could offer her, and Lucas out of obsession with the ‘truth’ behind Macbeth. Both are horrified at Jeneva’s appropriation of the play for her own purposes and the distortions that she brings to the performance in order to further her own ends rather than discover some fundamental truths in the act of performing. For both youths, theatre should be an act of self-discovery, but theatre is also a place of appearances, of distortions. The Maiden and Mother involve themselves in the play, manipulating the performance itself as well as the fates of those involved, making the world a stage for their own desires. Like the mirror itself, the play becomes a reflection not of truth but of their desires and the desires of those who gaze into it, drawing them into webs of control. Past and present, truth and falseness, reality and lies all become implicated and interwoven in the play and issues of identity are challenged and complicated. Whenever characters try to change the path of their destinies, they are brought further under the control of the three weavers of fate, losing their free will during every attempt they make to express it. Like Macbeth himself, characters are trapped into pre-ordained actions and roles, deprived of agency before Fate’s power. Like a pre-written performance, everyone is assigned to their roles, acting out their lives under the influence of a director. Katz brings the essence of Shakespeare’s play into a modern Canadian environment and a coming of age story, exploring the way that identity becomes subsumed by choices and the perception that there is a lack of choice. Like the clashing of Scottish and English interests in the play, she writes about a time when Franco-Canadians and Anglo-Canadians battled about notions of identity and the place of French Canada within an overwhelming Anglo majority. Like Macbeth, Kinny and Lucas feel that they are trapped into hopeless fate, their identities subsumed by a fate that they see as larger than themselves. Like the Scottish Play, notions of sacrifice and suffering end up being for nothing, never allowing freedom from the restraints placed on the characters. Katz recognises that acting can be a form of possession and that actors can lose themselves in their roles, in the performative act. 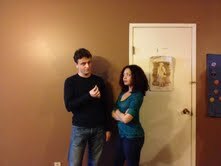 It is only through the performance that Kinny and Lucas can see themselves as they perform aspects of the Other. They come of age through the act of suffering, through the act of loss and the heightened awareness that, like those of Macbeth, sometimes the best of intentions can lead to the most harm. To find out more about the work of Welwyn Wilton Katz, you can visit her website at http://www.booksbywelwyn.ca/ . Interview with Michelle Carraway about The Courtesan Prince Play. As someone who has been involved in theatre in the past and has acted in both stage performances and radio dramas, I was quite excited when I heard that Lynda Williams’ The Courtesan Prince was being converted into a live theatrical performance. I have often wondered what it would be like to act in a performance of speculative fiction, so I was quite excited that Michelle Carraway has allowed me to do this interview with her to share some of those quirky theatrical insights with the readers. 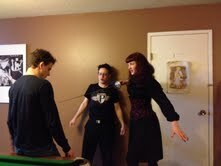 A glimpse of sword-fighting rehearsals for The Courtesan Prince Play, courtesy of Michelle Carraway. Spec Can: Could you tell us a little bit about the transformation of Lynda Williams’ book The Courtesan Prince into a live performance? Michelle Carraway: Transforming “The Courtesan Prince” into a play was remarkably easy. Lynda Williams’ style is a lot like a play of Shakespeare’s if it was written as a novel rather then as a play. 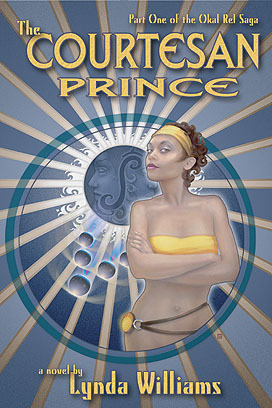 Courtesan Prince reads like a classic fairy tale and translating it into a play has been a very pleasurable experience. It is a rags to riches story about a noble prince who was stolen away by the machinations of royal intrigue. Forced into humiliation, the prince is always noble and his true nature shines forth despite his situation. Courtesan Prince is filled with the joy of restoration of position and wrongs being righted. These are all traits that fit well with format of a play. If you add in the many cases of mistaken identity and the spice of a collision of cultures, you have many of the ingredients that Lynda wrote into The Courtesan Prince and you can easily see why I was inspired to transform the novel into a play for everyone to enjoy. Spec Can: What inspired you to change Lynda Williams’ The Courtesan Prince into a play? Michelle Carraway: The inspiration was mostly in listening to Lynda Williams read her novels out loud. I was staying with Lynda and her family for a couple of weeks and every night, Lynda would read a chapter of one of her novels. Listening to the stories that I had heard before in this context I was inspired to have other people see the stories in the same light as I was seeing them. When Lynda reads her stories, she can’t help but to be a dramatic reader as all of her characters are alive inside of her and she channels them forth both when she writes and when she re-reads the stories. My imagination was taken by the idea of sharing what I was seeing with a larger audience. As I began to formulate this as an idea I began to ‘find’ the characters very vividly in other people who I then cast to play the parts. The stories that Lynda Williams writes want to be enjoyed by people and the characters want to be seen. My play is a venue for them that I am honoured to be able to provide. Spec Can: What changes to the story of The Courtesan Prince did you have to do in order to change it into a play? Michelle Carraway: The biggest changes that I have made to the story are simplifications. I am closely adhering to Lynda’s main plot, that of the commoner Von becoming Prince Amel and to the theme of cultures colliding. Many sub plots and minor characters have been cut from the play in order to keep it to a level that I can manage, both as a director and as a play wright. There won’t be any big surprises for fans of the Okal Rel Universe although I’m sure that there will be some longing for beloved minor characters and the rich subplots that fill the story. The subplots are wealthy enough to fill out a whole play of their own so the main characters, Von and Ann are the only ones who are closely followed. Spec Can: What are some key things that you are hoping to capture in the performance? Michelle Carraway:I am hoping to capture the passion and purity that Lynda Williams’ writes into her characters. She is a writer who doesn’t machinate against her audience or her characters and she only writes the truth of the story. I hope to capture that clarity in my version of Courtesan Prince. I also hope to capture the way that Lynda brought a new freshness to a rags to riches story and the depth of the characters that play in it. Spec Can: Could you tell us a little bit about the actors and actresses involved? Actors preparing a scene for The Courtesan Prince play (Ann of New Beach and Thomas Revert), Courtesy of Michelle Carraway. Michelle Carraway: The actors and actresses that I have selected so far are all uniformly passionate about their craft and enthusiastic to the telling of a beautiful story. They all come from very different backgrounds although they are all local to Vancouver and are doing the play out of love of the story and the craft. Since we have started to get together and read the scripts, we have become fast friends and have begun working as a group on some other fun projects that we have all inspired in each other. The Courtesan Prince play is much like a creative collective rather than a Broadway play. You will find the same honest devotion that Lynda Williams writes with in each of the cast and crew members. To find out more about the individual actors and actresses you can go to our blog site and read bios and see pictures of them. They have all agreed to write a short essay about how they felt when they first met the character that they are playing and their enthusiasm for them. Spec Can: Were there any particular looks or personalities you were hoping to capture in your casting call? Michelle Carraway: I have definitely been looking for the right person for each part. There are still several parts that are not cast yet as I search for the right person for the job. Ann of New Beach, played by Nicole Anthony, looks as though she stepped off of the cover of The Courtesan Prince. When she reads the part of Ann she has exclaimed on several occasions: ‘I LOVE Ann, she is so my new hero!’. Spec Can: What initial chemistry have you seen between the performers? How will this work for the stage or provide challenges? Michelle Carraway: As the actors meet each other and start to read together they have found some great chemistry. The actors who play Thomas and Ann went to acting school together and they naturally play with each other at gentle jibes that flower marvelously into the lascivious looks and open approaches from Thomas and the hard nudges that Ann responds to Thomas with. As everyone becomes friends their ability to interact with physical comedy and force improves as well and provides flavor and validity to the scenes. Spec Can: What are you doing about the set? What are some key features of the set that really excite you? Michelle Carraway: The sets will be painted on a fabric background so that they can be rolled up when we are finished and used for future productions. As with any production a lot of what will make it all come together is a lot of creativity and hopefully some good luck. Spec Can: What are some of the exciting things you are hoping to do about costumes? Michelle Carraway: Costumes are going to be a group effort. As many of the styles are a sort of fantasy Restoration era there will be a lot of corsets and fancy dress for women and men both. Local shops are excited for the opportunity to be involved in the ORU legacy and many of the more valuable pieces, such as corsets have been offered for use in the play by local stores such as “Lace Embrace”. Spec Can: How closely are you working with Lynda Williams on this performance? What input has she provided to the process so far? Michelle Carraway: I have been working quite closely with Lynda Williams and also with her daughter, Jennifer Lott to read over the play for ideas for inaccuracy or misinterpretation. So far everyone seems happy with the streamlined version of Courtesan Prince. Lynda is very pragmatic of the need to simplify down to the major plotline and characters in order to put the story into a form short enough to put on stage. Spec Can: What are some of the initial challenges to the performance that you have encountered so far? Michelle Carraway: The initial challenges thus far have been finding all the right people to play the characters. The two characters, Di Mon Monitum and Ranar of Rire have been the hardest to cast so far. Capturing their essential dignity and motivation will be a difficult task that still awaits the right actors. Spec Can: From my own years in the theatre, I know there are always those funny behind-the-scenes moments that really bind a cast together. What are some of the quirky, funny things that have happened so far? Michelle Carraway: When I first met Andre Roshkov, the actor who plays Thomas Revert, I referred to him as Thomas within two sentences of having met him before he even read his first lines as Thomas. Spec Can: What special effects (lighting, stage movement, etc.) are you using for this performance? Michelle Carraway: I am getting the assistance of professional fencers in order to choreograph the fight scenes for the play. I am also considering utilizing the expertise of local talented burlesque dancers for various scenes, especially the ones that take place at a brothel. Spec Can: What other performances have you directed? What directing experience do you have before this? Michelle Carraway: I have directed several independent movies, including Truth and Wine which is still in production. I have also directed many plays over the years including The Tempest and A Mid-summer’s Nights dream. Spec Can: What other Canadian Speculative Fiction would you like to see transformed into performances? Michelle Carraway: I would love to see some of Margaret Atwood’s writing such as After the Deluge and Oryx and Crake transformed into performances. I think that you could tantalize audiences with nearly all speculative fiction transformed into a live performance. Imagine what fun it would be to do a performance of the The Life of Pi! If it is done is such a way that the audience accepts the actors as the embodiment of their beloved characters and as long as scripts follow the reality of the novels to the best of their ability, it is always a winning combination. Spec Can: Is there anything further you would like to add? Michelle Carraway: Definitely! Stay tuned for more information and updates. Everyone needs to come and see this play. Lynda Williams has encompassed an entire universe in her novels and this play is an expression of a great Canadian’s achievements. It is the pride of Canada that we produce so many wonderful creative people but it is our shame that they aren’t promoted and supported more then they are. Show your support for our home grown achievements and have a great time while you do it. I want to thank Ms. Carraway for this exciting glimpse into the world of speculative fiction theatre and for letting us see her creative process as it unfolds. This has been a great opportunity to see the collaborative writing process and I hope to hear more from Michelle Carraway and Lynda Williams about this project as it unfolds.